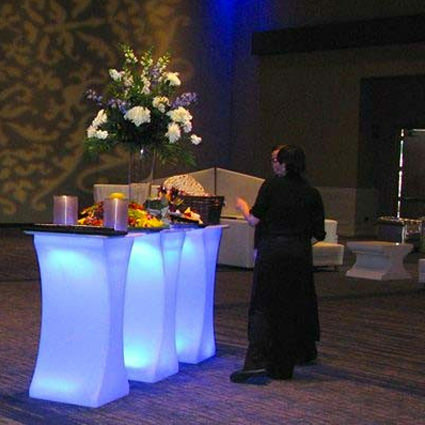 The 30" LED Hi Cocktail 'Curved' is one of our most popular tables. It's one of a kind curved body is great. 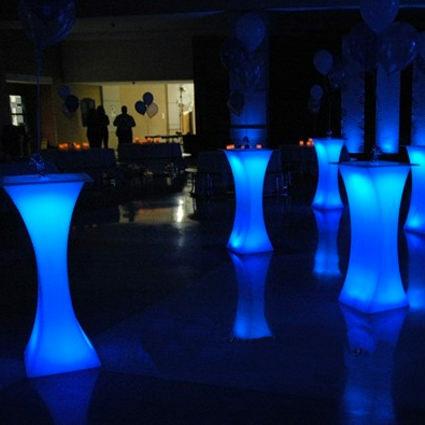 The two tone lighting configuration can be set to unlimited color combinations to create stunning color mixing effects. This table is sure to be a conversation piece at your event.